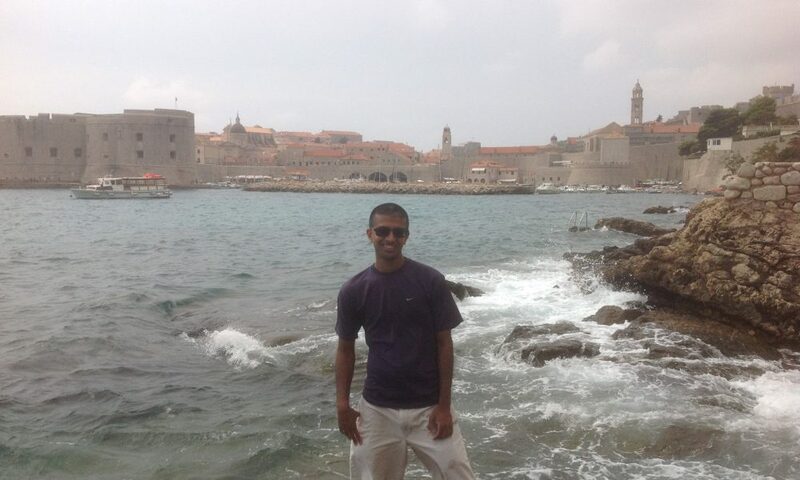 Today we’d like to introduce you to Dipesh Mukerji. Dipesh, please share your story with us. How did you get to where you are today? KINGSTAR is an IntervalZero company, so to tell KINGSTAR’s story, you have to start with IntervalZero. IntervalZero entered the embedded technology industry in 1980 with the founding of its predecessor company, VenturCom. VenturCom developed the technology that led to Microsoft’s first embedded operating system. In 2005, the company was renamed Ardence, Inc., and two years later enterprise software leader Citrix Systems Inc. purchased Ardence, primarily for Ardence’s virtualization technology software. In 2008, Citrix supported a buyout of the embedded technology business by a team of former VenturCom-Ardence-Citrix executives, who formed IntervalZero Inc. Citrix has since been bought out by the CEO of IntervalZero and is now completely privately held. IntervalZero’s RTX/RTX64 RTOS platform streamlines and simplifies the development of complex systems. By leveraging x86 multi-core technology and symmetric multiprocessing (SMP) functionality, and by extending Microsoft Windows with the RTX real-time extension, the RTX RTOS platform reduces costs, boosts quality and performance, and significantly reduces reliance on proprietary hardware such as DSPs and FPGAs. KINGSTAR was born out of this RTOS foundation. We recognized that industrial motion control, machine vision and PLC automation had grown archaic with the limitations of hardware, and that software needed to be the alternative solution – but only if software could provide a comparable alternative that could match or exceed hardware’s performance. The only way software could achieve that was with a real-time operating system. Hence, IntervalZero’s RTX64 became the foundational layer for KINGSTAR’s platform products. KINGSTAR remains closely tied to IntervalZero through technology, people, and culture. It is still an IntervalZero company, and like IntervalZero, is relentlessly focused on customers that share our pursuit of excellence. We strongly believe that continuous investment in PLC, motion control and machine vision software technology is essential for long-term success. Like IntervalZero, KINGSTAR is based in a strong customer-centric philosophy. Its roots in IntervalZero’s three decades of embedded software innovation, and the proven value of the KINGSTAR real-time PLC, motion control and machine vision software, have allowed KINGSTAR to build a global customer base of market-leading OEMs and end users in industrial automation, robotics, semiconductors, manufacturing, textiles, packaging, medical systems, and other industries. The hardware approach to motion control is deeply entrenched in machine automation, so we have definitely had to overcome the status quo bias. These days, professionals in the industry are becoming more open to software but there is still education to be done. There are pros and cons to each of these options, but none is honestly desired by the engineer; it’s more like “pick-your-poison.” KINGSTAR addresses this problem with an end-to-end, open and standards-based software platform that allows engineers to pick components of their choosing for PLC, motion control and machine vision from the ground up. Because it’s built on a hard real-time deterministic 64-bit operating system (RTOS), IntervalZero’s RTX64, all components can either be KINGSTAR’s pre-integrated and pre-tested solutions or ones of the engineer’s own choosing. It’s a truly transparent open platform that lets you use languages that you already know, like C, C++ and .NET, in order to access ALL platform components to create PLC driven motion control and machine vision applications. So let’s switch gears a bit and go into the KINGSTAR story. Tell us more about the business. In a nutshell, the KINGSTAR software platform replaces expensive hardware solutions for industrial automation and machine control. As an open and standards-based integrated platform, it enables PLC, motion control and machine vision engineers to design, develop and integrate motion control and machine vision applications with either KINGSTAR’s soft motion library and software PLC, or one of your own choosing. This flexibility is a real differentiator of the platform approach. Because KINGSTAR is built on the foundation of EtherCAT and a real-time 64-bit Windows operating system, it gives engineers premium precision and performance at half the cost of hardware. From a performance standpoint, the KINGSTAR platform gives you control, autonomy, and flexibility. Let’s say you want to leverage the increasingly popular EtherCAT fieldbus as your industry standard. You have the freedom and flexibility to choose either KINGSTAR’s basic CANopen over EtherCAT, or you can choose an EtherCAT master of your choice like Acontis, koenig or ESD. Let’s say you want to leverage your own customized soft motion control algorithms and APIs. No problem; you can integrate your own customized solution into EtherCAT or leverage KINGSTAR’s own robust set of soft motion control algorithms. It doesn’t stop there. What if you wanted to add machine vision-directed motion control? Well, then options like KINGSTAR or Matrox’s Imaging Library are completely available to you. Finally, if you want to complete the full set by leveraging your favorite PLC for HMI, then go right ahead and choose PLCs like ISaGRAF, PHOENIX CONTACT or Axel Srl as your application management system. In other words, an open platform empowers customers to have their cake and eat it too: They get the benefit of pre-integration (they do not have to integrate) and all their components are state of the art. Price-wise, the numbers are powerful as well. We did a full analysis of the cost and performance of KINGSTAR versus a traditional hardware solution like a DSP or high-end motion control board, and found that soft motion costs 56% less than hardware without sacrificing any precision performance in order to deliver determinism at 125 to 500 microseconds. That’s just simply impossible to ignore. I think we’re going to see a lot of innovation coming out of China, especially with their Made in China 2025 (MiC2025) program. MiC2025 is a government-based initiative to comprehensively upgrade Chinese industry. The initiative draws direct inspiration from Germany’s “Industry 4.0” plan, which was first discussed in 2011 and later adopted in 2013. The heart of the “Industry 4.0” idea is intelligent manufacturing, i.e., applying the tools of information technology to production. In the German context, this primarily means using the Internet of Things (IoT) to connect all the small and medium-sized companies more efficiently in global production and innovation networks, so that they can not only more efficiently engage in mass production, but just as easily and efficiently customize products. Made in China 2025 is set to promote breakthroughs in 10 key industries where China wants to be a leader in the future, including information technology, robotics, aerospace, railways, and electric vehicles. To achieve this, Beijing plans, among other things, to continue a trend of state-directed innovation, proposing to establish 15 manufacturing innovation centers by 2020, which would be expanded to 40 by 2025. China recognizes that the entire supply chain must innovate because the chain is only as strong as its weakest link. The scope of MiC 2025 specifically points out goals. In the robotics industry, the robot supply chain typically delivers hardware like servo drives, motion controllers, machine vision, and PLCs to name a few. To align with MiC 2025, the robot supply chain must rethink its traditional hardware-based approach and consider software-based alternatives by providing real-time operating systems (RTOS) on standard IPCs, soft motion control, EtherCAT protocol, soft PLC, software-based machine vision and more. Looking forward, KINGSTAR is on a mission to popularize the software-driven approach for industrial automation to the inevitable cloud-based IoT and Industry 4.0 future. The company plans to extend its platform’s capability into the cloud with OPC UA. KINGSTAR will also add support for more manufacturers’ motors and drives and extend its compatibility to other network protocols like Mechatrolink, CC-Link, TSN and PROFINET for a complete and full-fledged offering that serves robotics, semiconductors, manufacturing, textiles, surface mount technology, packaging, medical devices and other industrial industries.